A SUPERB OLD SHEFFIELD PLATE SILVER EPERGNE OR FRUIT/FLOWER TABLE CENTREPIECE. CIRCA 1825. 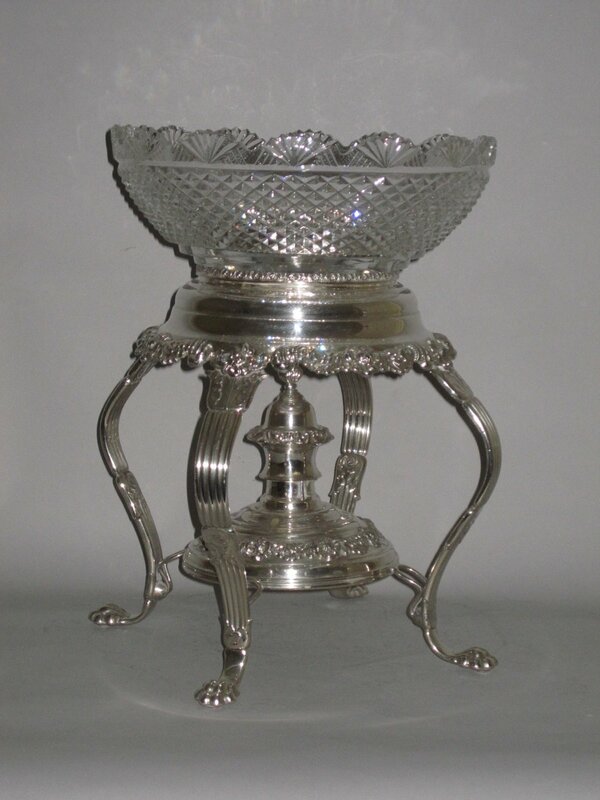 Having a central large cut glass bowl for fruit or flowers, cradled in a floral boardered circular support raised on four reeded shaped legs with lions paw feet, united under by a floral round with flame finial.